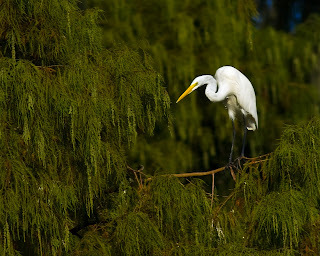 I rarely see great egrets hunting in trees but this one was actively after something. He made a couple of attempts but failed to catch anything. I never saw what he was after. I took this shot at Mt Dora on the Palm Island Boardwalk. This is a great location for birds, gators and snakes.